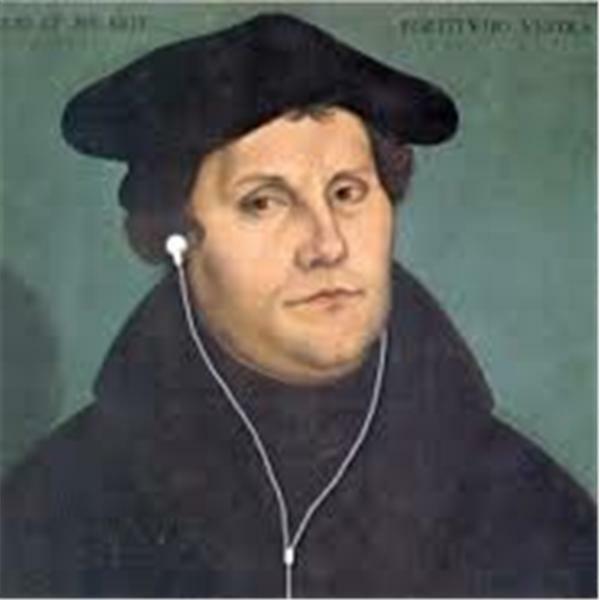 We're only two weeks away from celebrating the 500th Anniversary of the Reformation and the Lutheran Day School that my kids attend hasn't done any activities or lessons on Martin Luther, the Reformation, or the Lutheran essentials! As my 11-year-old daughter reminded me the other day, it probably has a lot to do with the fact that a majority of the students enrolled in the school right now aren't even Lutheran themselves. You see, a majority of them attend the Wesleyan mega-church in the local area, adhere to "Believer's Baptism," and partake in cups of grape juice and goldfish crackers for Communion. The rest are either Baptist, Evangelical, Methodist, Pentecostal, or Non-Denominational (anything but Lutheran). Of course, the school is ok with this, because more students means more kids enrolled in their small Christian school. Besides, "We're all Christians!" so why make a fuss over denominations that only "divide" Christians anyway? Or so the thinking goes. In fact, it's the same mentality that led them to take "Lutheran" out of the name of the school a few years ago in the first place and to replace it with "Christian" so they could appeal to a wider segment of the population. All of this got me thinking...What does it mean to be a Lutheran? 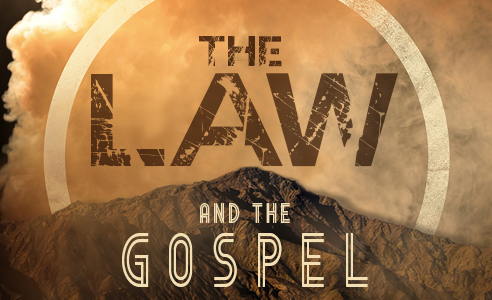 There is something remarkably different from the way Lutheranism understands Jesus Christ than the Roman Catholic church, the Baptist church, or the Reformed church does. There is something which distinguishes Lutheranism from these other churches in how Scripture is interpreted, and this difference is found in what it means to be Lutheran. I've heard many answers to the question, what does it mean to be Lutheran? My personal favorite is that "we're right, and everyone else is wrong". My second favorite is a more theologically correct answer, Lutheranism is a confessional church. These answers are not quite what we are looking for though. What it means to be a Lutheran is that we are Christocentric, meaning that Christ is at the center of all of our theology. Lutherans, do not look at creation outside of Christ. Lutherans do not look at their daily lives outside of Christ. Lutherans, do not look at the inerancy of Scripture outside of Christ. Furthermore when Lutherans look to Christ they look to Him knowing that His sacrificial death on the cross has forgiven all the sins of the world. The Roman Catholic church does not do this, they point to their works which through Christ merit them forgiveness. The Reformed and Baptists do not do this either, rather they point to their decisions and claim that Christ merits them forgiveness because of their decisions. These latter two teachings are false, and it is because they do not center around Christ, rather they center around man made intervention. The study of Christ, or the study of how Christ is connected to and through all of our doctrine is called Christology. To be Lutheran is to see everything through Christ who died for forgiveness. To be Lutheran means that you realize your sinful nature, you see yourself as purely dead in sin, incapable of doing anything. This lack of capability is also significant to what it means to be Lutheran. Dead people can't do anything, and thus we fully rely on Christ who makes alive that which was dead. When the Reformed and Baptists look at a cross they rarely depict it with Christ nailed to it. Lutherans on the other hand are notorious for big crucifixes, crosses with Christ nailed to them. Lutherans do this because it was when Christ was nailed to that cross where the sins of the world were forgiven. The blood shed at the cross washed, and made what was once crimson, white as snow. Lutherans realize that the events at the cross are the center of their theology. Furthermore, the events at the cross are the center of life. To be Lutheran is to be Christocentric. To be Lutheran is to deny man's ability to play a role within our faith. Thus, Lutherans lay it all at the foot of the cross where true man and true God was pierced for the forgiveness of sins. To be Lutheran is to always be pointing to Christ. What is it mean to be Lutheran in the first place? What does that mean, to be Lutheran? And It is something that you are! It’s not something that you join, it is not something that you do. It is, it’s not even really something that ultimately in the end you believe. You either are Lutheran or you aren’t. And the great thing about being Lutheran, is that makes one a Lutheran is not anything in one’s self but something decidedly outside one’s self. This is something that we need to learn, we’re learning it slowly but surely, we’re learning a lesson that we ought to have known by now. And that we often do remember and then forget, as quickly. That what makes someone, what makes a congregation, what makes a pastor, what makes a synod, Lutheran is only one thing. It’s kind of the fifth sola of Lutheranism that you won’t see on any banners or Luther roses or anything like that. The only thing that makes a Lutheran, a Lutheran whether that Lutheran is a congregation or a pastor or a lay person is the Lutheran Confessions. That’s it. The definition of a Lutheran is there in our confession. Believing that, confessing that, makes one a Lutheran and not believing that and not confessing that, makes someone something other than a Lutheran regardless on whether you call yourself that or whether your church has the sign outside that says you are a Lutheran. It’s one thing and one thing alone our confession. 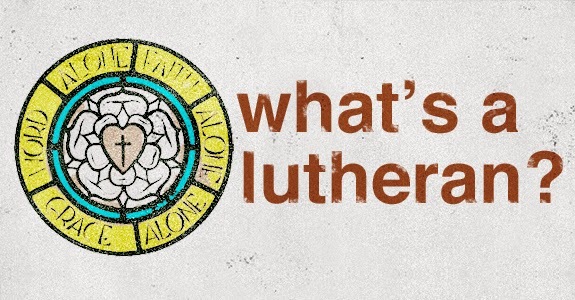 That brings us back to our original question: What does it mean to be a Lutheran? The above link to the source of Rev. Wilken's quote will take you to a fantastic 36-minute lecture he gave on the subject so please make sure you don't miss that one. It's such a pastoral, sober-minded presentation for us to prayerfully consider. I am a Lutheran for the same reason I am a Christian. It is not by choice but by grace. The teachings of the Lutheran Church place Jesus at the center because the teachings of the Scriptures place Jesus at the center. No other confession demonstrates such fidelity to the truths of God's Word. No other confession so glorifies Christ by placing Him at the center of all it confesses and teaches. Being a Lutheran is truly all about Jesus. 1 Corinthians 9:16 (ESV) For if I preach the gospel, that gives me no ground for boasting. For necessity is laid upon me. Woe to me if I do not preach the gospel! Though St. Paul wrote that one, I can't help but always think of Martin Luther whenever I come across it. It's also why I love something Luther himself once said in response to the use of his name to describe us Christians who believe what he was calling the church to repent of and return to. While I agree with his humility and sentiment here, I also think it's ok to identify ourselves with the one confession of "the faith that was once for all delivered to the saints" (Jude 1:3), because our confession matters simply because the truth of God's Word matters. For me, being a Lutheran means something. 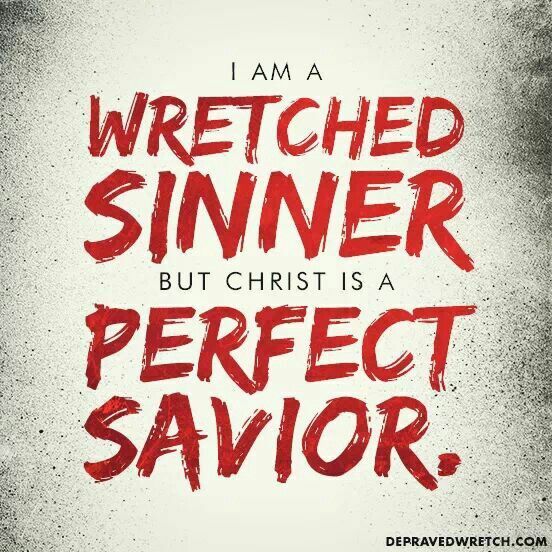 Maybe it's because of where I came from and how I almost caused "shipwreck" to my own faith due to all the false teachers and their false teachings that I enthusiastically believed, taught, and confessed as an Evangelical that rejected all denominations (1 Timothy 1:19). Whatever the reason, I no longer apologize for being a Lutheran like I used to, but I embrace it and believe it's the most bold, faithful, historical, orthodox confession of "the faith that was once for all delivered to the saints" (Jude 1:3) there is. How do I know? After all, I was wrong once before, so how do I know I'm right this time? That's a fair question. 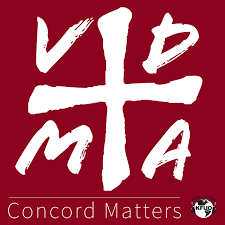 All I can say is that having an actual Book of Concord where all of the Lutheran Confessions are written down and publicly available for anyone and everyone to read for themselves gives you the opportunity to verify if the things I believe, teach, and confess are an accurate and clear confession of Biblical truth. Take comfort, my dear friends. For those of you who are non-Lutherans (or for you "Lutherans-In-Name-Only"), please recall that quote from Luther himself that I just referenced above, which speaks to us through the ages. What does it mean to be a Lutheran? It means never being ashamed to admit that you're a Lutheran because you know you have the pure Law and Gospel that save lives. 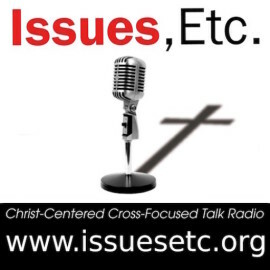 It's Christ-centered, cross-focused preaching and teaching that's about "CHRIST For You!" as opposed to a Christ-less, cross-less brand of preaching and teaching that's about "YOU For Christ!" instead. In a Lutheran layman's terms, what it means to be a Lutheran is to believe, teach, and confess nothing but the unadulterated truth of the Word of God and Jesus Christ at the center of it all.